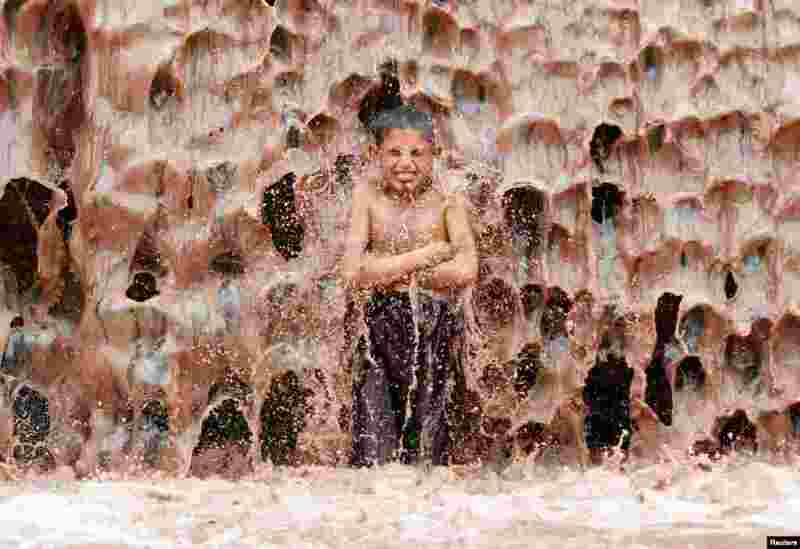 5 A boy cools off under a muddy waterfall on the outskirts of Jalalabad province, Afghanistan. 6 A visitor watches the St. George NextGen show at Fashion Week in Sydney, Australia. 7 Divers take part in training sessions at the Baku 2017 4th Islamic Solidarity Games in Baku at the Baku Aquatics Center, Azerbaijan. 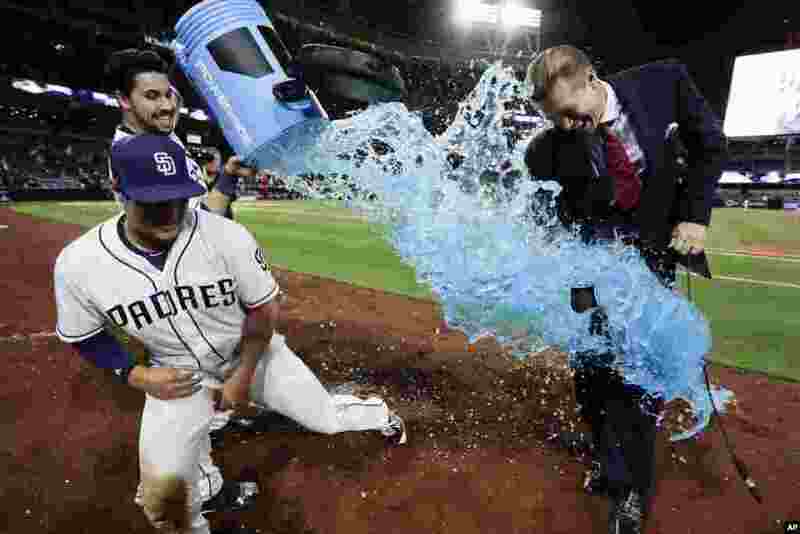 8 San Diego Padres' Hunter Renfroe, left, dodges energy drink dumped by teammate Austin Hedges after hitting a walk-off home run during the tenth inning of a baseball game against the Milwaukee Brewers in San Diego, California, May 15, 2017.